Italy map. Hand-drawn country. 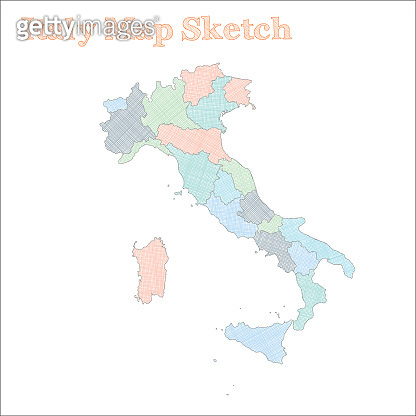 Mesmeric sketchy Italy map with regions. Vector illustration.